Get "Boot Camp Fit" in just 8 weeks. Now you can "Get Some and Get Done! "—in 22 minutes a day with the quick, military-inspired, no-nonsense workout program designed by superstar trainer Tony Horton. 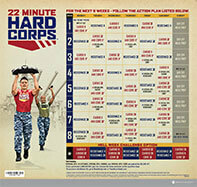 Introducing 22 MINUTE HARD CORPS—you just show up and keep up, and you'll get boot camp results in just 8 weeks. In 22 MINUTE HARD CORPS, Tony takes the no-nonsense simplicity of Military PT (Physical Training) and combines it with everything he's learned about creating quick workouts that deliver maximum results in the minimum amount of time. So you get a workout program that works your whole body with moves that are tough enough to challenge you, but straightforward enough for you to do on Day One. 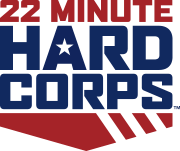 22 MINUTE HARD CORPS takes you through a series of total-body rounds designed to maximize strength gains and fat loss within the 22-minute workout window. Each day, you'll alternate between functional resistance, cardio, and core-focused workouts. Your job...is to deliver every rep. This 7-move workout gets your heart pumping from Minute One. 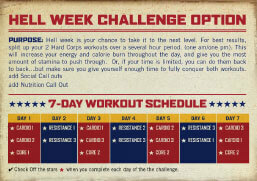 Keep up with the platoon and earn a massive calorie burn. This is basic training, but there's nothing easy about it. It's 3 rounds of 7 exercises, just like Cardio 1, but these moves will push your fitness even farther. Alternates between floor work and plyo moves for 3 hard-driving rounds. Your mission is to deliver every rep. These are 5 simple moves, but with 3 back-to-back rounds, the challenge is intense. 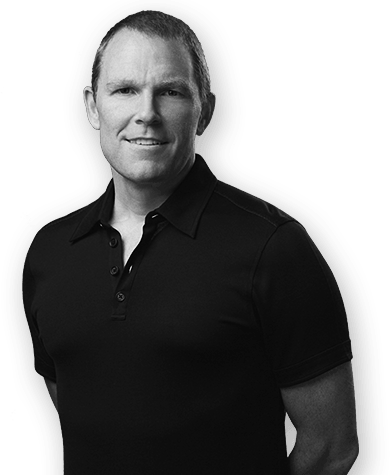 That's how you can get results in just 22 minutes a day. Did we hear you ask for more? Here it is. More resistance. More sweat. More muscles recruited. This workout takes the intensity up a click by adding plyometric strength training to challenge your endurance. If you want Hard Corps results, you have to get with the program. With this 8-week calendar, I make it easy to plan your workouts and track your success. We’ve DOUBLED our usual 30-day guarantee to A FULL 60 DAYS! Do the whole program—if you’re not absolutely blown away by the results, send back the used kit for a full refund of your purchase price (less s&h). And that's not all. 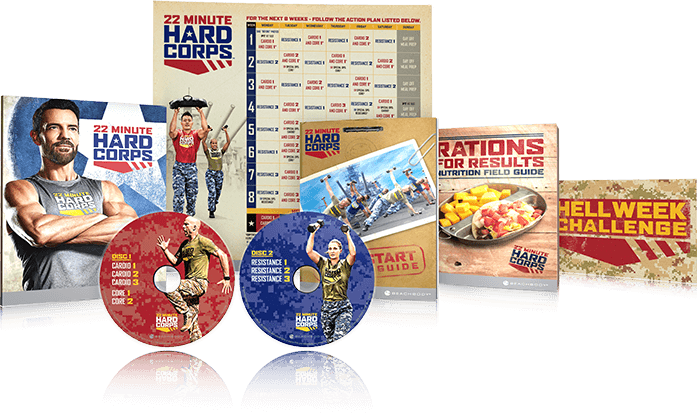 We're so sure you'll get amazing results with 22 MINUTE HARD CORPS, we'll let you keep all 5 CARDIO and CORE workouts, plus the Rations For Results Nutrition Field Guide as our FREE gifts—even if you return everything else—just for saying YES!